Thanks for coming to my site. 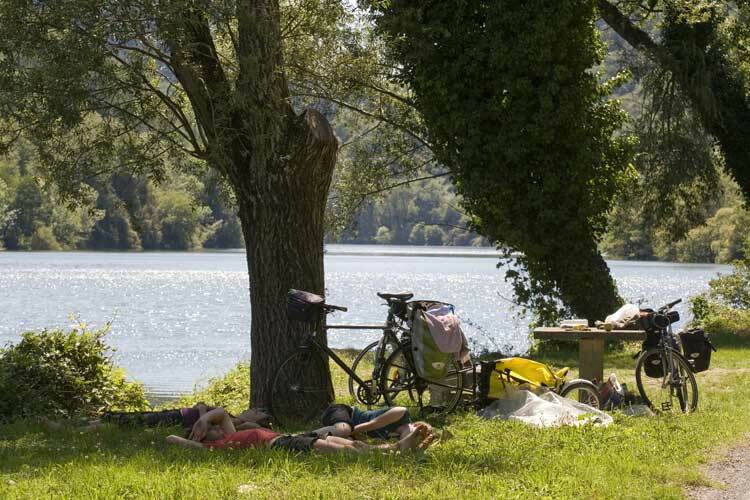 Freewheeling France is a one-woman spare-time labour of love run with the help of a merry band of cyclists and writers who share my love of cycling in France. You can get in touch with me by emailing lyn@freewheelingfrance.com. I'm happy to help answer any questions about cycling in France to help you plan your trip. I usually post these on the blog as reader Q&As (like this) in case they can help other people too. You can also post questions on our Facebook page (link below) to benefit from the knowledge of our little cycling community. Please help share the bicycle love via Facebook and Twitter, or by leaving comments on articles or blogs as this helps give other riders more information than I'm able to provide. You can also add your photos to our Flickr stream or follow us on Google+. I'm always keen to hear of any suggestions for the site, as well as any ideas on how I can improve it. You can help support the site by following our links and banners if you need cycling kit, books or maps, ferry or train tickets, or accommodation. The site receives a small commission for purchases made from some (but not all) of the links, and every little bit helps cover my costs and improve the site. I only link to products and services I have used or ones I think other cyclists would find useful. Please get in touch, too, if you know of a cycle-friendly place to stay, a good organised cycling tour (or charity tour) of France or a bike hire outlet you can recommend. There is information on how to advertise here.